Be present for all court dates. We will always be with you in court. Everyone charged with a crime, drug related / VUCSA charge, must go through a legal process in court. At the beginning, all people accused of a crime have a right to be notified of the charges they are facing. The legal process may end with a trial to determine guilt or innocence. However, there are many important steps between these two events. Below is the general process that most courts use. While some courts give different names to similar hearings – these are the typical court appearances that will occur in a criminal case. It is very important to be present for all hearings unless your lawyer specifically tells you otherwise. This is generally the first court appearance after being arrested or investigated for a Washington State criminal case. At arraignment you appear before a judge and are formally notified of the charge(s) filed against you and asked to enter a plea. If you are facing a VUCSA charge in district or municipal court that is not a felony, you can "waive" the arraignment if you have hired a private attorney. This is something we do for our clients. You can not do this for a felony, or if you have a public defender representing you. You should always enter a plea of not guilty at arraignment unless an experienced attorney has advised you otherwise. This is true even if you feel that you would like to take responsibility for what happened or that the government will have a strong case against you. There will be opportunities to change your plea in the future if that is appropriate in your case. You will not be penalized in any way by the prosecutor or the judge by entering a plea of not guilty at arraignment. Both the judge and the prosecutor understand that pleading not guilty is a legal step and not an attempt to avoid responsibility. At arraignment, the judge will impose conditions that you must abide by while the case is pending to avoid being taken into custody. The judge may also require that you post bail/bond to remain out of jail while the case is pending. You and your attorney will have an opportunity to object to conditions of release and bail/bond. An experienced attorney can advise you on the expected conditions of release and the likelihood of a court setting bail in your case and help you prepare to post it quickly so that you can avoid spending any time in jail. 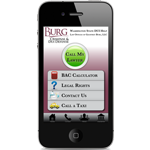 You will receive notice of future court hearings at your arraignment. Generally, the next hearing scheduled will be a pre-trial hearing, but in some courts you may also be given notice of additional dates such as a date for trial. At arraignment, a pre-trial hearing will be scheduled to allow the court to monitor the progress and resolve issues that might arise while your case is pending. It is very common to ask that a case be “continued” at a pre-trial hearing to give the parties sufficient time to fully investigate and negotiate your case. In some courts, the pre-trial hearing is the best opportunity to negotiate with the prosecutor on your case. There may be a designated negotiating prosecutor present (not in the courtroom, often in a room just outside the courtroom) who has authority to make decisions on your case and is prepared to discuss the case with your attorney. Entry of a negotiated settlement or disposition and sentencing if appropriate. Issues involving access to evidence, witness interviews, and the investigation may be settled by the judge. Conditions of release may be modified and the court may revoke a release if information is presented by the prosecutor that you have violated the conditions imposed at arraignment. If the case will be proceeding to trial, the court will schedule a trial date and possibly a motion hearing. Motion to dismiss for an unconstitutional delay in filing charges. Motion to dismiss for failure of the government to preserve evidence. Motion to dismiss for violation of your right to a speedy trial. Motion to dismiss for insufficient evidence of a crime (Knapstad). Motion to dismiss for lack of probable cause to stop or seize. No allegation of a traffic infraction. Alleged lane travel not a traffic violation (State v. Prado case). Informant tip insufficient to support stop. No reasonable suspicion a crime has occurred. Law enforcement officer did not have authority to perform stop. Motion to dismiss for unlawful detention. Motion to dismiss for lack of probable cause to arrest. Motion to dismiss for governmental misconduct. Motion to suppress evidence for violation of the 4th amendment (invalid search). Improper entry into home/property by law enforcement. No authority to request identification. Motion to suppress evidence for violation of access to counsel. Failure to advise of right to counsel in language easily understood (State v. Prok). Motion to suppress evidence of invocation of right to attorney. Motion to suppress evidence of invocation of right to remain silent. Motion to suppress evidence of Corpus Delicti. Motion to suppress involuntary statements. A readiness hearing is generally scheduled anywhere from several days to several weeks prior to trial. At this hearing both parties inform the court of their “readiness” for trial. Your case may be continued at this hearing if for some reason the case is not ready to proceed to trial as scheduled (witnesses unavailable, additional evidence discovered, lack of courtroom availability, etc.). Additionally, your case could be resolved at this hearing with a negotiated disposition and sentencing if appropriate. While most cases are resolved prior to a trial, some cases proceed to a full trial. If it is appropriate for your case to proceed to a trial, you may have the option of choosing between a jury trial and a bench trial. A jury trial consists of six (misdemeanor and gross misdemeanor) or twelve (felony) randomly selected people from the community sitting as the “fact finder” who will decide if you are guilty or not guilty of the crime(s) charged. A bench trial allows the judge to be the sole “fact finder” in your case. In general, we recommend a jury trial for most criminal cases. This is a decision you can make after weighing the pros and cons with your lawyer. In a trial, the prosecutor must prove every element of the crime(s) charged beyond a reasonable doubt. The fact finder (the judge or jury) will hear the admissible evidence and be instructed in the applicable law. The judge or jury will then make a decision determining if the government successfully proved each element beyond a reasonable doubt (guilty) or failed to (not guilty). If the jury cannot agree on this decision, a hung jury results and a mistrial is declared. A jury must make a unanimous decision for a verdict to result in a criminal case. In Washington State criminal cases, sentencing decisions are made by judges. This is true even if you are found guilty at a jury trial - the judge who oversaw the case would impose any sentence without input from the jury. At sentencing, the prosecutor will make a recommendation to the judge. Unless there is a negotiated resolution on the case that requires an “agreed” sentence recommendation between both parties, you and your lawyer will have an opportunity to make a sentencing recommendation to the judge as well. These are just recommendations, and a judge will always have the authority to impose whatever sentence he or she believes is appropriate in your specific case. You have a right to speak on your own behalf at sentencing – but not an obligation to. It may also be appropriate to have friends or family provide letters or appear to speak on your behalf at sentencing.